A taste for winter, a love of winter a mind for winter is for many a part of the modern human condition. International bestselling author Adam Gopnik does for this storied season what he did for the City of Light in the New York Times bestseller Paris to the Moon. Here he tells the story of winter in five parts: Romantic Winter, Radical Winter, Recuperative Winter, Recreational Winter, and Remembering Winter. 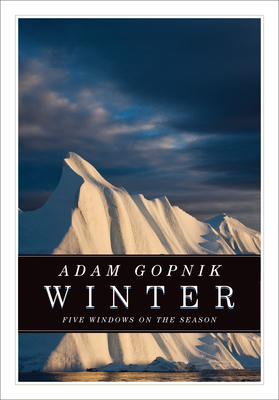 In this stunningly beautiful meditation, Gopnik touches on a kaleidoscope of subjects, from the German romantic landscape to the politics of polar exploration to the science of ice. And in the end, he pays homage to what could be a lost season and thus, a lost collective cultural history due to the threat of global warming. Through delicate, enchanting, and intricate narrative detail, buoyed by his trademark gentle wit, Gopnik draws us into another magical world and makes us look at it anew.